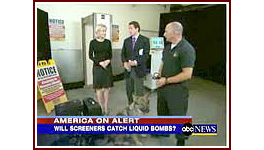 PI Magazine Article: A Long Island K-9 Company is providing Canine Teams Experienced in Liquid Explosives Liquid Detection. 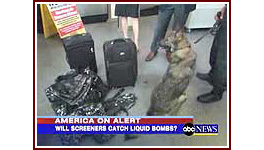 Officer James Greco, owner of LIK-9, is reaching out to many major airlines and providing law enforcement explosive detection canine teams to all airlines to detect the new (liquid) scents of explosives that were utilized by terrorists in their recent attempt to blow up airplanes while in flight. LIK-9 Is the 1st company to provide these specialized dogs to the private industry. Pictured is Officer James Greco and canine Rex filming in New York City for an upcoming episode for the television series Law And Order with the two stars of the show, Milena Govich and Jesse Martin. 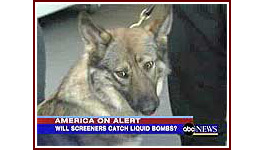 This is the second Law And Order television shoot for Officer Greco and Explosive Detection Canine Rex for Law And Order. Long Island K-9 Service is the foremost leader in the canine business. We are the largest licensed Explosive/Narcotic/Personal Protection Canine Facility in New York State. We provide highly trained and experienced Law Enforcement Personnel with all of our K-9 Teams trained for Explosive/Narcotic Detection Sweeps, Personal Protection and Special Event K-9 Security. 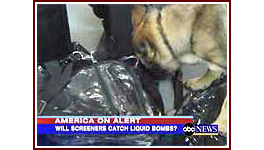 Long Island K-9 Service trains their dogs for liquid explosives. Please Click Here to view our latest press release and our recent television interview ( The Anatomy of the Terrorist Bomb Plot) with Diane Sawyer and Chris Cuomo of Good Morning America.